Project 21 member Chelsi P. Henry, Esq. is a policy advisor, motivational speaker and mentor. 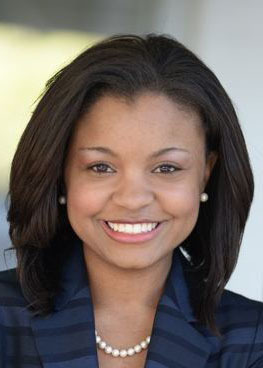 In 2014, Chelsi was recognized by CNN as one of ten “up-and-comers to watch,” and was selected as one of Red Alert Politics’ “30 under 30.” She was profiled in the October 2012 issue of Seventeen magazine as an “Electionista” promoting the importance of young women and voting and was in the November 2012 issue of Glamour magazine advocating for conservative principles. She was also featured in National Journal, National Review, ABC Action News, MTV, Tampa Bay Channel 5 News, Tampa Bay Times, Jacksonville Business Journal, CBN, Essence Magazine online, BBC, TV One, BET and Glenn Beck’s The Blaze. Originally from Jacksonville, Florida, Chelsi now lives and works in the state capital of Tallahassee. She graduated from the University of North Florida with a Bachelor degree in Business Management and a minor in Mass Communication in 2009 and from the Florida Coastal School of Law in 2013. Chelsi had the privilege and honor to serve as a local elected official on the Duval County Soil and Water Conservation District for three years, where she petitioned and advocated on behalf of her community. She was the youngest elected female in Jacksonville’s history. A regular public speaker, Chelsi is described as dynamic and motivating. She has spoken to many groups across the nation, where she shares her background and values and provides strategies to assist groups with inclusion of youth, women and minorities. She was a featured speaker at the 2013 Conservative Political Action Conference near Washington, D.C.
Chelsi has a heart for young adults and often shares the victories and obstacles of her life to encourage and motivate others who have feelings of hopelessness, fear and low self-esteem. In 2013, she launched the AlwaysPraying.com web site to encourage the importance of prayer among young people. Over the next ten years, she aspires to continue serving through the avenues of business, law and politics.